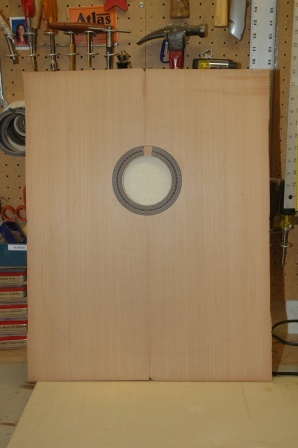 After installing the rosette and sanding it down flush, the soundhole has been opened. 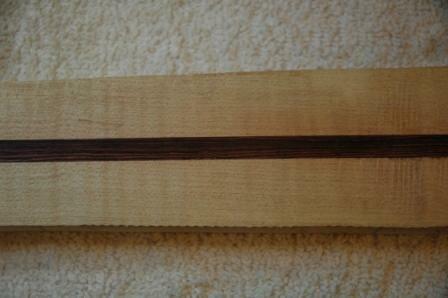 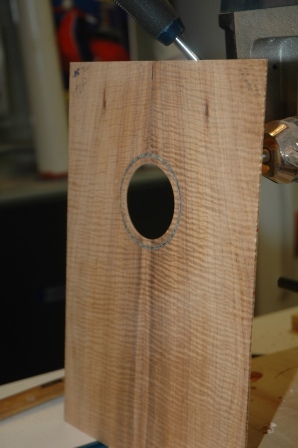 Used a circle cutting bit for the drill press to produce the soundhole in the top. 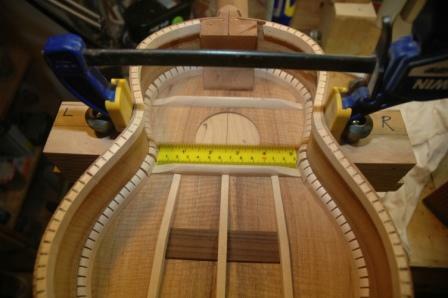 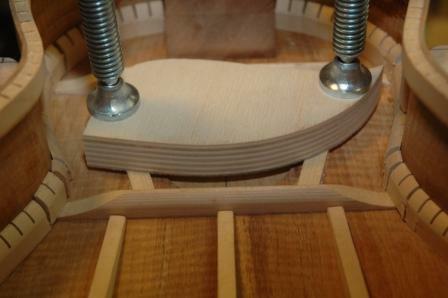 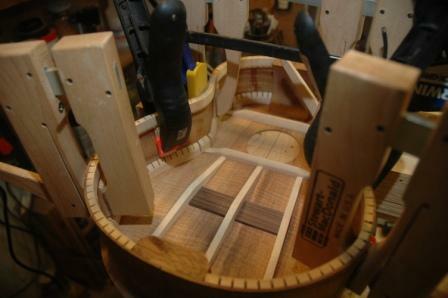 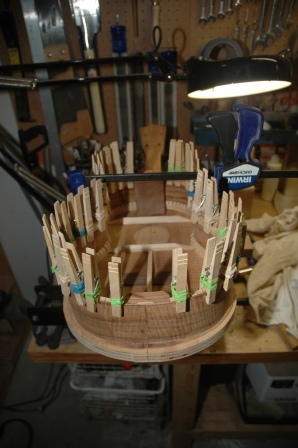 I usually use a dremel and down cut mills, but the circle jig won’t adjust down small enough for the uke soundhole. 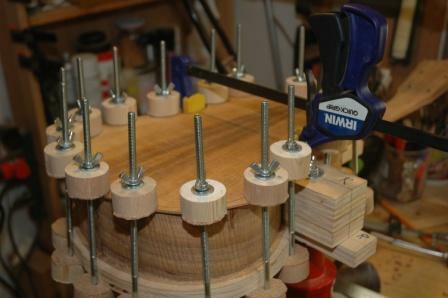 The top plate must be carefully positioned under the circle cutting bit as any off center positioning will show in relation to the installed rosette.